All in one table top appliance bakes cakes, muffins, quickbreads, donuts and biscuits...it can even cook eggs. 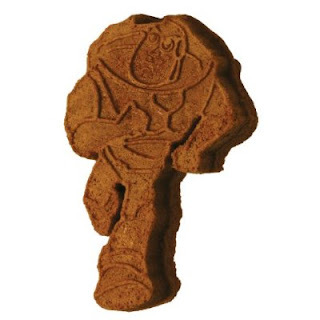 Your products bake in about 1/3rd the time into 5 delicious, kid-friendly shapes: Buzz, Woody, Rex, Alien and Lotso. Bonus batter scoop and cleaning brush included. My kids aren't exactly adventurous eaters, they have a preference tendency to eat all things with their hands as well ( yes we taught them to use utensils ;) they just prefer finger foods .....I firmly believe all younger children prefer to eat finger foods whenever possible! LC Premiums has made it easy to make the cutest little finger foods shaped like my children's absolute favorite characters from the Toy Story 3 movie! 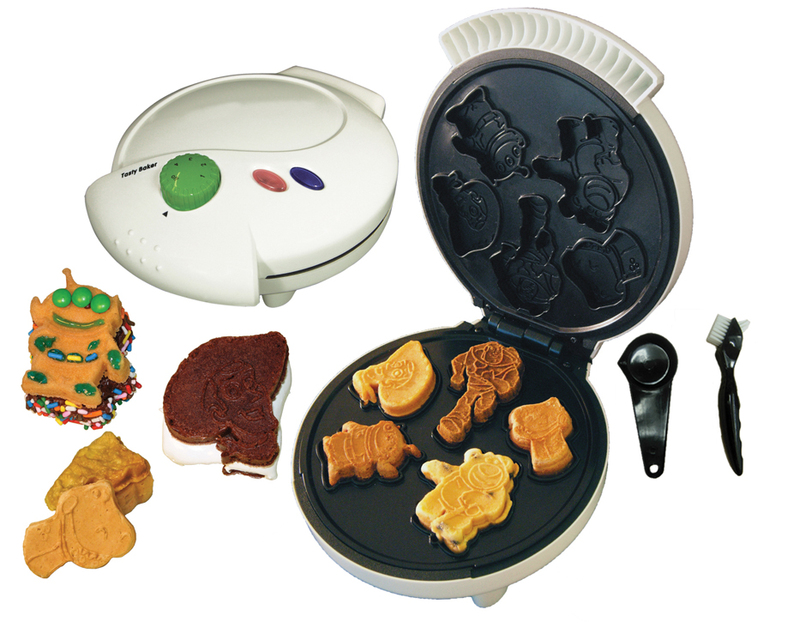 With an extremely easy temperature dial, and an included book that shows you how long to cook different treats.....the Toy Story Tasty Baker is ready to go right out of the box! We started by baking little chocolate cakes. They came out wonderfully (the fast bake time is impressive)! We then spread a thin layer of icing between two matching characters and added some sprinkles to make little "cakewiches" (my son coined the word while we were assembling the treats:) They were a HUGE hit with the kids, so I decided to get creative! We made scrambled eggs with cheese in the Tasty Baker the next day, and they were just as popular! So far we've made the "cakewiches", eggs with cheese, cornbread, pancakes (perfect for dipping in syrup and a fast favorite with my little one's:), and stuffed crescent rolls ( I put the crescent roll in the tasty baker, and pushed a small piece of peperoni and a little cheese into the center....the kids dipped them in warm pizza sauce for a snack.....and LOVED THEM!). Made by a mom who clearly knows the deal with picky eaters, the Toy Story 5-in-1 Tasty Baker is awesome! I would definitely recommend it to parents! 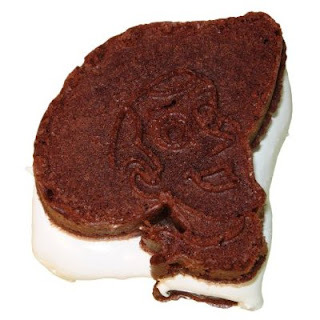 The Toy Story 5-in-1 Tasty Baker would make a wonderful Holiday Gift! The Pop Art Toaster was created by mom-entrepreneur Linda Carlish in 2005. After hearing from other mothers that they were cutting their children's sandwiches into shapes with cookie cutters and pairing knives in order to get their young picky eaters to eat, she decided there must be a better way. Linda's patented toaster uses removable and interchangeable image stencil plates that slide into slots in the toaster and toasts words or pictures onto your bread, pancake, muffin or any toastable product. A kid at heart, Linda decided children shouldn't have all the fun so she created several versions of the toaster to please adults, teens, brides, romantics and children of all ages. Not in the mood for picture toast today? Simply remove the image stencil plates and you have your regular, every day toaster. Who says you can't play with your food? Like those pop art things! Cool.